Sure, things may look great now, but it wasn’t long ago that Kendall Square was a biotech ghost town—and the good times might come to an end if we’re not careful. Meanwhile, gene therapy, cell therapy, and microbiome research look poised to make an impact on healthcare—just don’t overlook the hurdles that remain, or underestimate how long it’ll take to clear them. In other words, we’re making progress. But people should be realistic about that progress—biotech isn’t as easy as making iPhones. 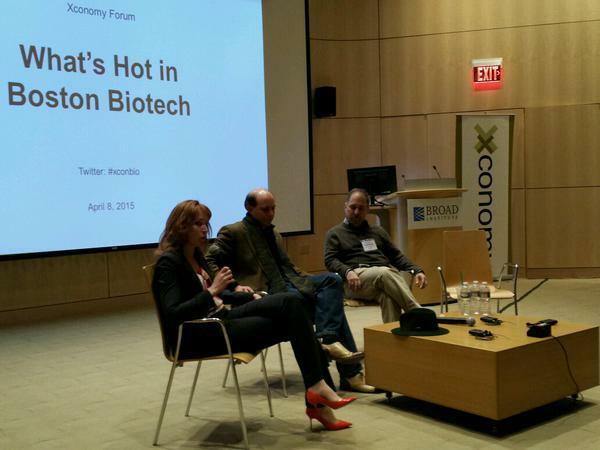 That was a thread that pervaded “What’s Hot in Boston Biotech,” our latest event, at the Broad Institute of MIT and Harvard this week. A cadre of the area’s top scientists, entrepreneurs, and investors went over some of the ups, downs, and issues still-to-come for several emerging (and re-emerging) areas of life sciences innovation. Some examples: could carrier testing be a threat to gene therapy? What discovery is synthetic biology whiz and MIT professor James Collins most intrigued by? And why is the concept of “precision medicine” really just the start of a long slog that might reshape drug development? A huge thank you to our speakers and moderators: David Altshuler of Vertex Pharmaceuticals; Susan Lindquist of the Whitehead Institute; MIT’s Collins; Noubar Afeyan of Flagship Ventures; Alexis Borisy of Third Rock Ventures; Tony Coles of Yumanity Therapeutics; Samantha Singer of the Broad Institute; Olivier Danos and Adam Koppel of Biogen; Michelle Dipp of OvaScience; Peter Kolchinsky of RA Capital; Marian Nakada of Johnson & Johnson Innovation; Amir Nashat of Polaris Partners; Bernat Olle of PureTech; Steve Paul of Voyager Therapeutics; Ben Auspitz of Fidelity Biosciences; and Chuck Wilson of Unum Therapeutics. Thanks also to our event hosts, Biogen and the Broad Institute; our event sponsors, American Laboratory Trading, Fairfax County Economic Development Authority, Cote Orphan, and Mintz Levin Cohn Ferris Glovsky and Popeo; and to Keith Spiro of KeithSpiroPhoto for the photos (those will be coming soon). This was a blowout event, a tough one to recap, so here are just a few snippets—seven in total—to whet your appetite for next time. 1. Be on the lookout for the latest startup out of Jim Collins’s lab at MIT. 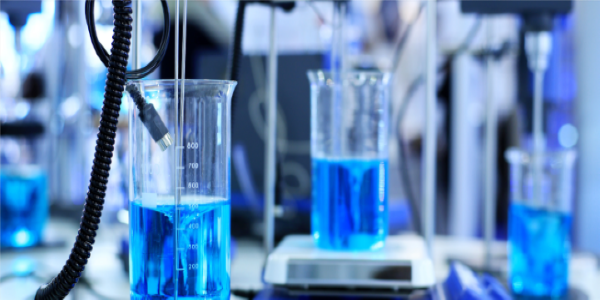 Collins is already behind a few synthetic biology startups, Sample6 and Synlogic. What’s next? He described a technology capable of opening up a cell, extracting the machinery, slapping it on paper, and freeze drying it—after which it could be stored at room temperature until it’s rehydrated, when that cellular machinery would function “as if it’s inside a living cell” again. Collins says this technology could be used in several ways—like cheap, quick diagnostics for antibiotic resistance, oral vaccines, or as therapeutic peptides or proteins. “That last one is probably the one I’m most excited about, for sure,” Collins said. 2. “I chose to go into neurodegenerative diseases because they were the darn hardest.” That was Susan Lindquist on Yumanity’s decision to target things like Parkinson’s and amyotrophic lateral sclerosis—biologically complex diseases which have stupefied scientists for decades—with its yeast-based drug discovery system. It’s a tall order, and Lindquist and co-founder Tony Coles know they’re taking a risk. As Coles said, “When I die, what will be on my tombstone, will it be that I held some great jobs? Or that I wanted to make a difference?” That means Yumanity will face some skeptics. As Peter Kolchinsky questioned, are today’s animal models—which often fall short of representing human neurological disease—even good enough to validate the things Yumanity finds, or will the company just “take a leap of faith” that what it sees in cells will translate to humans? “If you have a defined patient population in which you know that that compound is fixing that patient’s [disease], I think it very well will be possible to go directly into patients—as long as you’ve done your toxicity studies,” Lindquist responded.